Russia’s terrorist threat has evolved. But the authorities are yet to evolve with it. Mark Galeotti is Professor of Global Affairs at New York University’s SCPS Center for Global Affairs. He blogs on Russian security affairs at In Moscow’s Shadows and tweets as @MarkGaleotti. Why did Uzbek nanny Gyulchekhra Bobokulova call out “Allahu akbar” – by now almost a cliché of the jihadist terrorist – and threaten to blow herself up after she decapitated her four-year-old ward in north-west Moscow last month? And why did the official media show such unusual delicacy in covering the case so cursorily, or not at all? While Bobokulova is undoubtedly mentally unstable rather than a cold-eyed assassin, it is impossible to know what was going through her mind. But if she was not radicalised as such, she had clearly been exposed to the memes of modern terrorism. 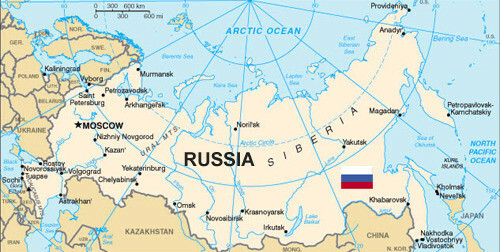 More to the point, the Russian authorities’ eagerness to sweep the case under the shroud, and especially avoid any reference to the “t” word (terrorism), illustrates a growing concern within Russia’s security apparatus about the risk of terrorism unconnected with the North Caucasus. Having for so long in practice equated terrorism with the North Caucasus, suddenly concerns about radicalisation of Russia’s wider Muslim population, 12% of the total, are coming to the fore in Moscow’s security circles. A year ago, I was talking to a Russian security official who airily asserted that “outside the North Caucasus, Russian citizens have proven unreceptive to radical Islamic propaganda.” He was right, but also unknowingly identified the constituency that is beginning to prove receptive: not Russian citizens per se, but the country’s Central Asian migrant workers. Despite Russia’s economic contraction, this is still a significant population, maybe of some five million people, and a socially, politically and economically marginalised one. Some preliminary reports by the Russian Interior Ministry (MVD) suggest that a growing proportion of people within Russia’s Central Asian migrant community either hold radical Islamist views or else at least express a level of sympathy with those who do. Their unpublished survey (of perhaps questionable methodological rigour) suggests fully a third support or “understand” the appeal of jihad. The main expression of this trend has been the rise of the banned Hizb ut-Tahrir (H-u-T) movement. In the past, the movement has been deeply divided over the moral and practical implications of terrorism, and has been essentially a political-religious force. Some of its leaders have recently begun to adopt a more radical stance in response to fears of being outflanked by Islamic State (IS). Last October, the Russian authorities began a major crack-down on the movement, with 20 arrests, followed by the “liquidation” of an alleged terror cell in the North Caucasus. However, squeezing H-u-T may ironically radicalise it, or play into the hands of its main rival: Islamic State. Since then, numerous terrorist attacks have been thwarted according to the security apparatus: 30 plots and 42 “funding cells” in 2015. Most have been associated with the North Caucasus but increasingly, migrants from Central Asia are being reported within IS terror groups in Russia, including an IS-connected group rounded up in Ekaterinburg in February and a H-u-T group in the Novgorod region. In the North Caucasus, in particular, renewed government concern about violent jihadist terrorism has manifested itself in a series of heavy-handed measures against Salafist preachers and their congregations. This reflects a lack of traction on the communities in question, weakness rather than strength. From a security perspective, it is far better to penetrate and monitor extremist movements, only striking in response to specific threats. Moscow and its local agents use broad sweeps precisely because they lack real intelligence capacity inside the jamaats (fighting units) of the North Caucasus insurgency and their terrorist sympathisers. This is doubly true within the migrant worker community. When 150 migrant workers were arrested in Moscow last October, the Russian police trumpeted this as a purge of people with terrorist links. It later transpired that there was no evidence of such connections amongst the overwhelming majority, no weapons were uncovered, and the main crime seemed to be possessing H-u-T literature. Russia’s former Chief Mufti and Kremlin loyalist Talgat Tadzhuddin has warned about the spread of jihadist ideology amongst the country’s Muslims – but also about the need not to demonise them and instead reach out and counter violent narratives. Very little is being done on this score. The FSB and the MVD are having to use what is sometimes called “brute force” methods. This does not actually mean violence, even though both agencies are hardly averse to its use, so much as untargeted information gathering through monitoring email, text and telephone communications and similar methods that tend to pull in a huge amount of extraneous data within which may be hidden actionable intelligence. The ability to separate the “signal” from the “noise” depends in part on powerful algorithms able to make correlations, and also good analysts who understand their targets. The Russians have a decent capacity in the first of these, but a serious problem with the latter. So instead they have to fall back on tried and true defensive measures, such as the physical control of likely targets and random interceptions of possible terrorists. To give the Russian security apparatus its due, it is pretty good at this kind of by-the-book tradecraft, but this takes a great deal of manpower, is often counter-productive (not least as Central Asians become alienated by the way they are treated) and depends on the police being alert, efficient and honest. After all, back in 1995, Chechen rebel Shamil Basayev was able to launch a terrorist attack on the Budennovsk hospital 110km outside Chechnya not because there were no roadblocks and checkpoints, but because he could bribe his way through them. So Russia faces a threat it suspects exists and is growing, but on which it has little intelligence and against which it has few means. Unable to penetrate migrant circles, unwilling seriously to tackle the exploitation and racism generating discontent, the Russian security apparatus is instead having to rely on arrests, deterrence and the vigilance of the police officer on the beat – far from the best options at any state’s disposal.